Prepare for Agile Certified Practitioner (PMI-ACP)® Certification while learning to lead Agile software projects that adapt to change, drive innovation and deliver on-time business value. Today, more and more organizations and companies are adopting the Agile Approach over the traditional Waterfall Methodology and many more are progressively making this essential transition. It is increasingly important that Project Management professionals demonstrate true leadership in today's software projects. Our Agile Certified Practitioner (ACP)® CertificationTraining will prepare you to lead your next Agile project and help you prepare for the Project Management Institute Agile Certified Practitioner (PMI-ACP)® Certification Exam. Providing experienced Faculty to teach and transmit The PMBOK® Guide, content. Preparing participants for the PMP® examination. Assisting in expediting professional advancement. Increasing the corporate bottom line. Enabling participants to pass the PMP® exam on their first attempt. We have a 96% first-time success rate! Aspiring Professional Project Managers who have a College Degree and a minimum of 3 years working as a Project Manager. Aspiring Professional Project Managers who have a High School Diploma (or equivalent) and a minimum of 5 years working as a Project Manager. Anybody who is interested in Project Management. 2,000 hours of project team work experience. These hours must have been earned within the last 5 years. Agile Project Management Experience 1,500 hours working on Agile project teams or in Agile methodologies. These hours are in addition to the 2,000 hours required for general Project Management experience. These hours must have been earned within the last 2 years. Tests knowledge of Agile Fundamentals and the ability to apply that knowledge to basic projects. Once you pass the exam, it is required that you earn 30 Agile PDUs, or 3 Agile CEUs every 3 years, in order to maintain your PMI-ACP®® Certification. These contact hours can concurrently count toward your PMI-ACP® and/or PMP if you hold both designations. Once the PMI-ACP® application process has been initiated then it must be completed within 90 days. 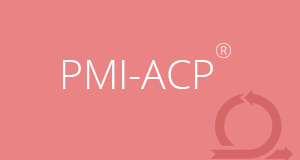 We advise that you complete the online PMI-ACP® application if possible. It is much quicker than other methods and only takes 5 business days to process. Please note, it is not possible to schedule your PMI-ACP® Exam until your application has been approved by the governing body, PMI, and all fees have been paid. If you are audited (possibly up to 25% of applications are randomly audited), you have 90 days to respond. You will not be considered eligible to appear for the exam unless you have successfully completed the audit. You have one year to take the PMI-ACP® exam after application approval. You can retake the PMI-ACP® exam up to three times during the approval year. Your PMI-ACP® Certification cycle starts the day you pass your Exam, and your cycle is 3 years. You need to earn 30 PDUs during that cycle. You complete the renewal process once you have 30 PDUs and pay the renewal fee. PMI-ACP® Certification suspension happens on the third anniversary of the day you actually passed the exam. You have 1 full year to renew your Certification. Your PMI-ACP® Certification expires one year after the suspension period begins. Agile is a philosophy that uses organizational models based on people, collaboration and shared values. The Agile Manifesto outlines the tenets of Agile philosophy. Agile uses rolling wave planning, iterative and incremental delivery, rapid and flexible response to change, and open communication between teams, stakeholders and customers. There are many agile methodologies that adhere to these tenets, such as Scrum, XP, Lean and Test-driven Development (TDD). Agile Manifesto A public declaration of the philosophy and principles of agile software development,created in February 2001 in Snowbird, Utah, USA. Visit the Agile Manifesto to learn more. Agile Methodologies Frameworks and processes whose practices support the Agile Manifesto principles. Examples include:Scrum,Extreme Programming (XP),Crystal, Dynamic Systems Development Method (DSDM Atern), Feature Driven Development(FDD). Agile Practices Activities that are the application of agile principles. Agile Principles Fundamental truths and shared values that drive behavior in agile methodologies. The approach of implementing a work product in successive pieces (increments),while also gradually refining the work product through targeted improvements (iterations). High visibility of project progress allows early identification and esolution or monitoring of problems. Continuous involvement of the customer throughout the product evelopment cycle. Reduced product and process waste. How is the PMI-ACP® different from the Project Management Professional(PMP)®credential? The PMI-ACP® certification specifically validates a practitioner’sability to understand and apply agile principles and practices. The PMP®credential recognizes demonstrated competence leading and directing project teams. Why did PMI develop the PMI-ACP® certification? PMI members,credential holders, and individuals who embrace agile principles and practices are looking to PMI for certification, recognition, and educational opportunities. Many project professionals experienced in traditional techniques are seeing the demand for agile principles and practices in many industries and organizations. These practitioners are eager to add agile principles and practices to their project management skillset. Do this Scrum Alliance course qualify for the education eligibility requirement of CSM certification? Yes, Scrum Alliance courses qualify for the education eligibility requirements. Only hours of training in agile practices will meet the certification eligibility requirements. One hour of education equals one contact hour of education eligibility. PMI-ACP® is a single certification that provides the brief details of umbrella of all Agile frameworks in one workshop, along with Agile project Management practices, including engineering / technical practices. This helps participants under the expectations from each of the other roles in addition to his/her role. The coverage is comprehensive. This 3-day training workshop is ideal for all agile aspirants such as PMO Leaders, Project Directors, Project Heads, Project Leads, Project Consultants, Project Analysts, Project Managers, Program Managers, Delivery Managers, Product Managers, Business Analysts, QA Analysts, Project Stakeholders, Project Coordinators and all other professionals who are involved in projects. The most benefitted are the traditional Project Managers working with agile developers; and Project Managers looking for more successful ways to facilitate a project’s success. Once again, please refer to the PMI-ACP® handbook: PMI-ACP® Handbook for details. The fee for PMI members is $435 and non-member fee is $495. PMI membership cost is $119 per year and there is a $10 joining fee. The process is you complete the application online and upon review and confirmation; you will be able to pay the fees as above. Once the fee is paid your application may optionally be selected for audit. If it is, you follow the instructions to complete the audit and proceed to schedule the examination. The examination consists of 120 multiple choice questions and each question has only one correct answer. There are no negative marks. Out of 20 questions, 100 questions are actually counted towards your final score. Upon completing the examination, you will be able to see your result immediately. You should enroll yourself for Agile training, which in any case is one of the pre-requisites for the examination. The training should provide you with guidance about Agile methodologies and what to study for the examination. In addition, you should go through the list of suggested references by PMI (see link:http://www.pmi.org/en/Certification/~/media/Files/PDF/Agile/PMI000-GainInsightsAIGLE418.ashx). If you are not a PMP or not otherwise familiar with the Project Management Body of Knowledge, you may want to read the PMBOK to familiarize yourself with general Project management concepts. You would also need to read the PMI code of ethics document. You must also get sufficient practice of solving exam questions including few “full-length” examinations under simulated conditions. Content was well covered and clearly articulated. The instructor was interactive. Thank you. I enjoyed the subject matter as it was covered in detail. Material references, handouts, mock exams and exercises (decision tree) was good. It was a good experience overall. Most of all, I liked the support team. They were great with replying to my emails/ phone calls. The course has and will be in the future be most beneficial to my career. Outstanding instructor! Instructor: Experienced and Great Practical Communication. What I really enjoyed was the trainer's ability to connect with each and every student and to make content related to their profession. I liked the overall function of the class and the past faced nature of the class. Small group size contributed to detailed and focused discussions of area of interest. Instructor was very knowledgeable about the subject matter. And was very patient with the students. Great to have him as the instructor. Overall the course content was well organized and provided a good level of detail about each concept.